Heritage Homecare is proud to announce that we have been accredited by the Community Health Accreditation Program as of January 2013. Þ A Qualifying Service: Intermittent skilled care from a nurse, physical therapist, or speech therapist. Medicare does NOT require a hospitalization to qualify for care. However, a physician face to face encounter must occur prior to start of home health services or within 30 days of start of care. Þ Patient must be under the care of a physician who certifies, as well as periodically reviews, a plan of care (POC) and determines that services are medically necessary and reasonable. Þ Patient must be homebound. Þ There is no willing or capable person to render care. Not sure? Please visit the Dept. of Health and Human Services (HHS) web site to confirm Medicare's coverage of home health services by clicking here. Client must have Medicare as a primary insurer. 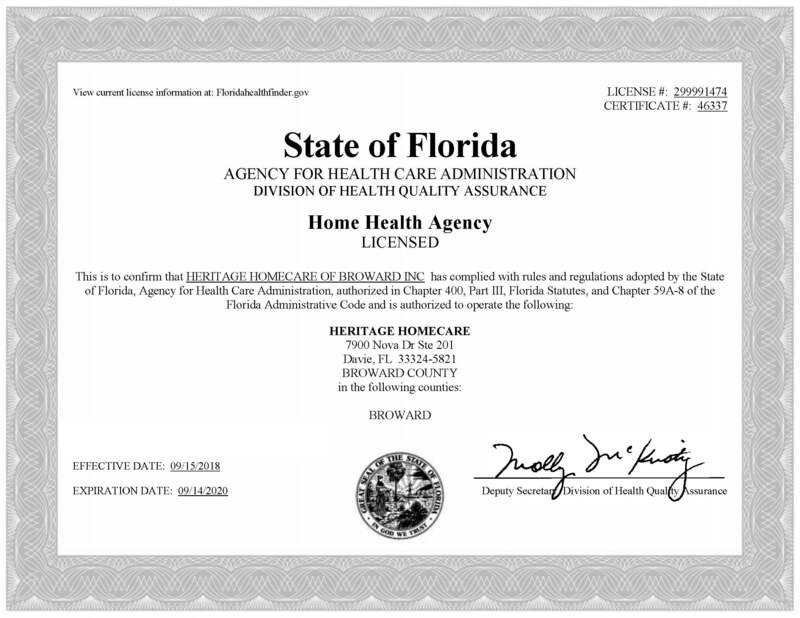 Heritage Homecare does not contract with any health maintenance organization (HMO). *-Please see Costs and Considerations.